1. Electrical Panels that are outdated. 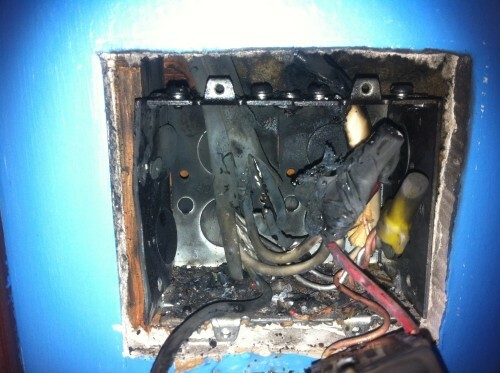 Have you checked your electrical panel recently? Electrical panels were not designed to withstand the stress of the use of high voltage electrical appliances nowadays like flat screen TVs, DVD players, home theater systems, electric cars, refrigerators, computers, faxes, etc. The sheer volume of power these appliances usually cause electrical breakers to melt, therefore causing bad electrical wiring issues and making them into extremely dangerous fire hazards. Similar to outdated electrical panels, old circuit breakers are a fire hazard because they cannot handle overloads and are especially unsafe for those who use it. These kinds of old circuit breakers foster many bad electrical wiring issues that have been resolved with newer, safer models. 3. Connections done by untrained people. Many bad electrical wiring issues are also caused by the do-it-yourself fixes of some. For whatever reason, some people resort to having their electrical wiring done by untrained and inexperienced individuals who, despite the occasional good job for basic electrical issues, are really not certified to handle electrical wiring in the first place. There’s a reason why professionals exist – to perform guaranteed and safe electrical repairs on bad electrical wiring issues. 4. Electrical outlets and plugs that have worn out. Electrical outlets have their own lifespan, and when plugs start falling out, either your electrical outlet or your plug needs to be replaced. Worn out plugs and outlets are examples of simple bad electrical wiring issues but can cause fire or even electrocution when left unchecked. Do you know how many circuits your home has? Safety standards dictate the need for about 10 or more circuits, but some homes have less. This can overload and make appliances wear out faster and melt circuit breakers and fuse boxes – a lack of circuits in the home is basically a very, very dangerous problem that needs to be addressed at once. When faced with bad electrical wiring issues like these, it is best that you call and consult with a trained, licensed and professional electrical contractor like Dunlap Electric. We are experts in the safety standards and our work will be sure to give you peace of mind that your home is safe guarded against electrical hazards. Don’t fall short when it comes to the safety of your home, your hard-earned possession, and most of all, your family. Our Professional work is guaranteed and our promise is to help you sleep safer and sounder at night.